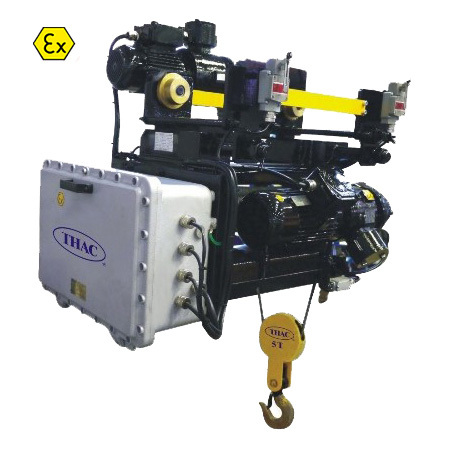 THAC offers Explosion-Proof Wire Rope Hoist to meet all the requiremnts of ATEX 94/9/EC directive. 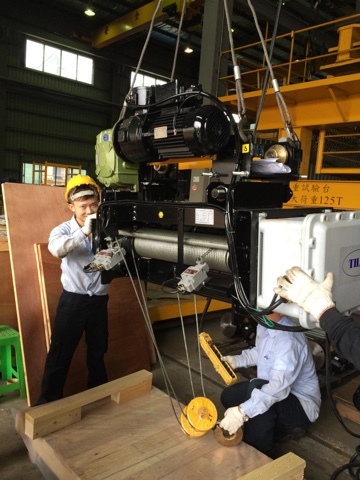 They are extremely reliable and have a long-average service life for hazardous atmospheres in chemical and petrochemical factory, gas power plants, oil refineries, waste water treatment plants, paint shops etc. 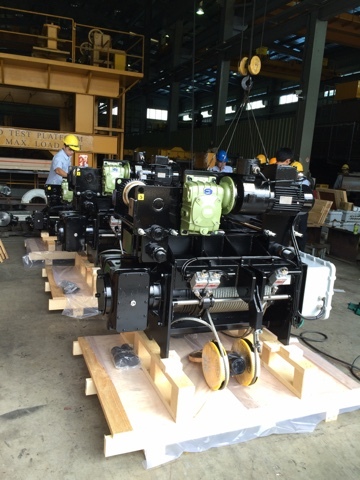 Motor – ATEX Group II 2GD. The rope drum is designed for high safety and long service life. Fine machining of the drum grooves minimizes wear on the rope. Apply the high strength galvanized steel wire rope complying with safety rules.